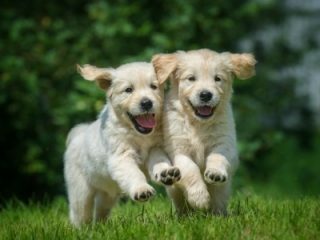 Just how much exercise is enough for your young puppy? It is fair to say that by the time your puppy is allowed to go out after his vaccinations then the urge to run him ragged must be uppermost in most owners minds as the pup has become stair crazy being coped up indoors. It is a big mistake to take your new puppy for a long hike when he is very young in the hope of tiring him out. His young bones and joints are just not developed enough to withstand this. He will become over tired and grumpy. You may hurt the pads on his feet and he may well end up with an aversion to going on the lead. 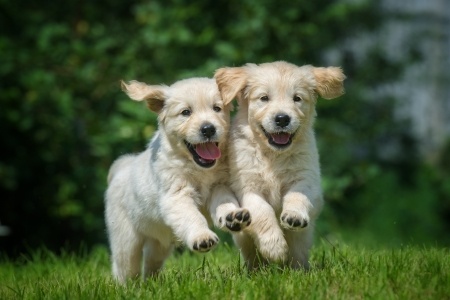 Two fifteen minute walks are adequate for a young pup – couple this with some mental stimulation in the form of dog training and this will give you a tired and a happier pup. Work up to taking your pup on two thirty minute walks when he is six months old and when he is an adult you can walk him for as long as you want. If you read everything you can about your chosen breed, you can take what is said too literally about working breeds needing a great deal of exercise – they do – but that is for an adult dog and not a young pup. They also benefit from mental stimulation as well as physical stimulation.